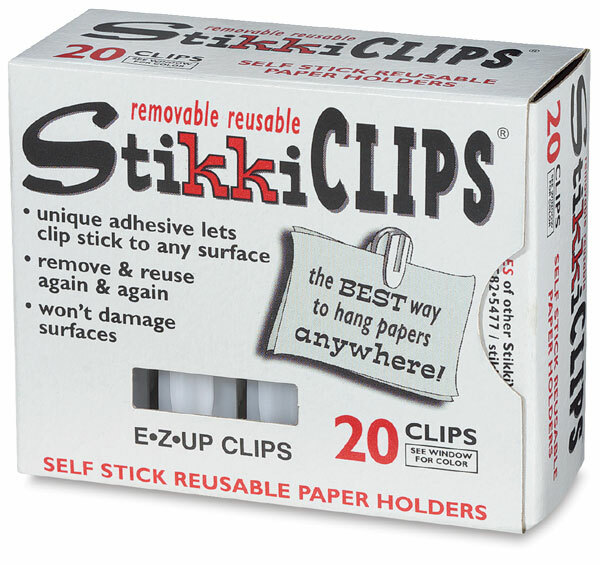 Strong white plastic clips with a dependable "Stikki-Wax" back that will cling to most surfaces. Just press the wax side to the mounting surface. Slide papers and posters in and out of the plastic spring clip. 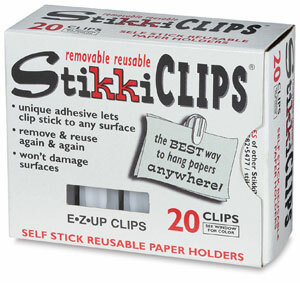 ® Stikki Clips is a registered trademark.